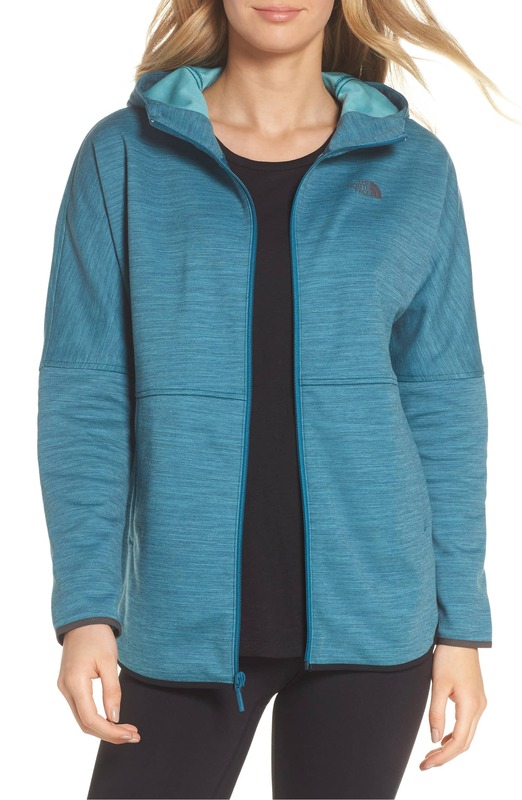 If you’re a North Face lover or have always wanted to buy outerwear from the popular brand, then you’re going to want to hop on this 50 percent off deal ASAP. The North Face Slacker Hooded Jacket is the perfect light layer for the autumn season and offers a slightly unique silhouette. 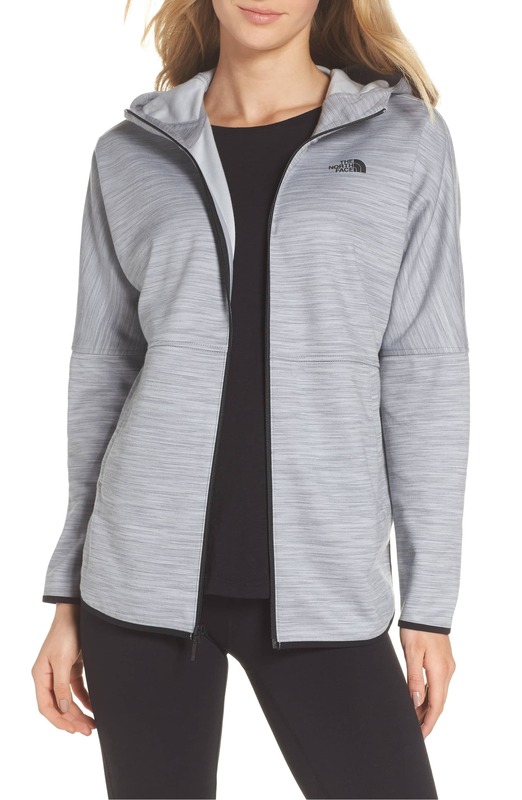 Shop it here: Get the North Face Slacker Hooded Jacket for $59.98, which is 50 percent off its original $120 price tag! It has simple slit kangaroo pockets that run deep so you get a decent amount of storage and room to keep your hands warm. We’re so into the cool side flap design and high-low hemline. Check it out from a different angle down below. 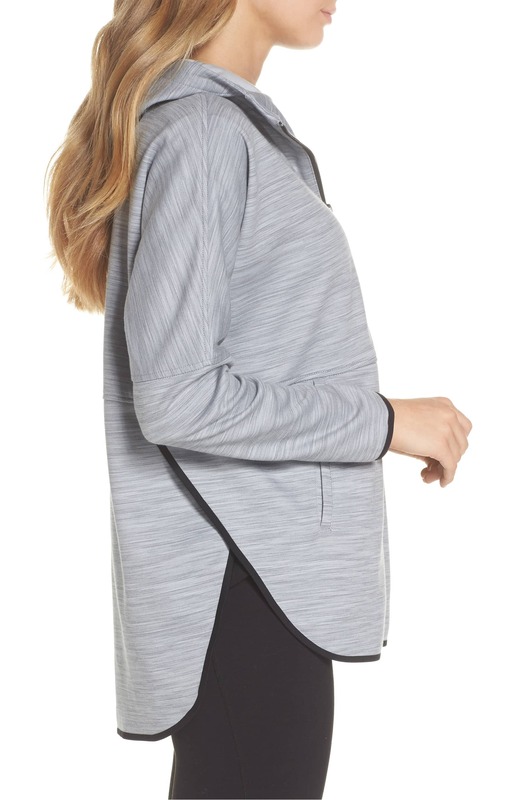 The jacket is great for layering over your gym attire or slipping into for a casual day out. If you love the style, but want to add a little more color to your outerwear collection, then grab the hooded topper in this fun blue shade. According to Nordstrom and lots of shoppers who own the jacket, it runs very large so you may want to study the style guide and size down for the best fit. Shoppers praised the topper for being very comfortable and versatile. See it: Get the North Face Slacker Hooded Jacket for $59.98, which is 50 percent off its original $120! Also available at Zappos for $84.99 in grey and black!